The Department of Work and Pensions has clarified the proposed changes to its policy on Local Housing Allowance (LHA) that could penalise even more vulnerable tenants. The Department of Work and Pensions yesterday (Thursday 22 September) clarified the proposed changes (1) to its policy on Local Housing Allowance (LHA) that could penalise even more vulnerable tenants. Disabled and older people and others who are currently in supported accommodation will now also be included in the LHA cap – not just new tenants – after April 2019. Tenants stand to lose significant sums of money. 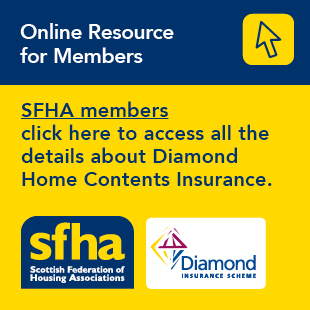 The impact of the LHA cap was set out last week in a report by the Scottish Federation of Housing Associations (SFHA) (2). However, since the report only covered possible new tenancies, the impact is likely to be over five times greater than the SFHA first estimated. Housing Benefit, used to pay the higher rents needed to cover essential housing support services will be capped to the average payable rent for ordinary accommodation, leaving shortfalls of hundreds of pounds weekly for individual tenants, and if they can’t afford to pay, arrears for landlords. Last week, the Secretary of State for Work and Pensions Damien Green MP announced (3) that the LHA policy as it affects supported accommodation would be suspended until 2019 to allow time to improve implementation and for funds to be passed to devolved administrations to deal with the problem the policy created. While the DWP has pledged to make up the shortfalls that tenants will face, it has now decided to widen the pool of affected tenants to everyone in supported accommodation – as opposed to only new tenants – from 2019. “Last week, we had the DWP as Dr Jekyll: none too thoughtful but at least honestly trying to fix the abominable mess of its own creation. This week we have it as Mr Hyde. Not content with creating instability around the development of supported accommodation – because nobody yet knows how it will ultimately be funded – the DWP has thought fit to cruelly pull the rug from under the people most at need of help, not harm. Current supported tenants now face years of uncertainty as to whether the social security system will support them or not, which will cause untold anxiety and distress.